We’re serious about your baby’s comfort and health. Gemini is ergonomically designed for your little one with a versatile seat providing proper support from any position, including baby facing out. 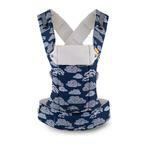 You can confidently wear your baby into toddlerhood (up to 35 lbs), knowing you’re protected against hip dysplasia. Let’s face it - your baby is heavy. Cross your straps to make babywearing comfortable and easy. Gemini evenly distributes baby’s weight across your hips and shoulders so you can power through daily mommy/daddy duties, hands-free. Your back will thank you. With Gemini, breastfeeding is possible. 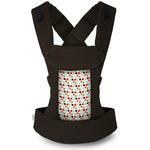 Just loosen your shoulder straps for a simple, hands-free and discreet way to feed your baby. Feel confident nursing whether you’re at the park, shopping for groceries or just hanging around the house. Beco makes breastfeeding in public a breeze. Wear your baby any way you want. Facing in for an all-day hug or facing out to explore together. Gemini lets you carry baby in a seat that’s comfortable and healthy for both of you. Carry baby on your hip to debate fine art together at the museum. Interact face to face while letting them look around on their own. Easily change positions when it’s time for naps or nursing on the go. 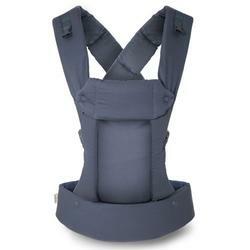 Wear your toddler on your back for a long walk around town or any adventure. 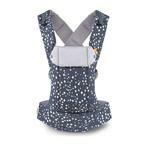 Expand Gemini’s padded headrest to gain additional head support for your growing baby.